Manage Excessive Chargeback Levels – We have discussed previously in many of our articles about the MasterCard and Visa Chargeback. The Visa and MasterCard take action depending on the number of chargebacks in a month for the merchant. This is called the chargeback ratio or chargeback rate. If the merchant reaches the maximum chargeback limit, the card companies have the right to implement a penalty. These are sensitive issues that can affect your business in terms of profit and reputation. Sometimes, the merchants need an expert to guide them with the procedure in order to run a profitable business. Here at Chargeback Expertz you can get the perfect guidance for your business. Continue reading this article or contact us at the toll-free number +1 855-465-4723. The Visa and the MasterCard, both have different norms to manage Excessive Chargeback levels but before moving to the excessive chargeback, you must know about the Chargeback Rate and Chargeback Ratio. To calculate the chargeback ratio, the Visa divides the number of chargebacks in a month to the number of transactions of that month. This becomes the chargeback ratio. Furthermore, to calculate the chargeback rate, multiply this ratio with 100. The MasterCard uses a slightly different method to calculate the Chargeback rate. The formula is similar but the only difference is, they take the ratio of the current month’s chargeback and divide it by the previous month’s transactions. If you are a merchant then you can also calculate the chargeback ratio of your enterprise using this simple formula. This will tell the approximate chargeback damage your company can face and how you can work towards reducing them in the future. 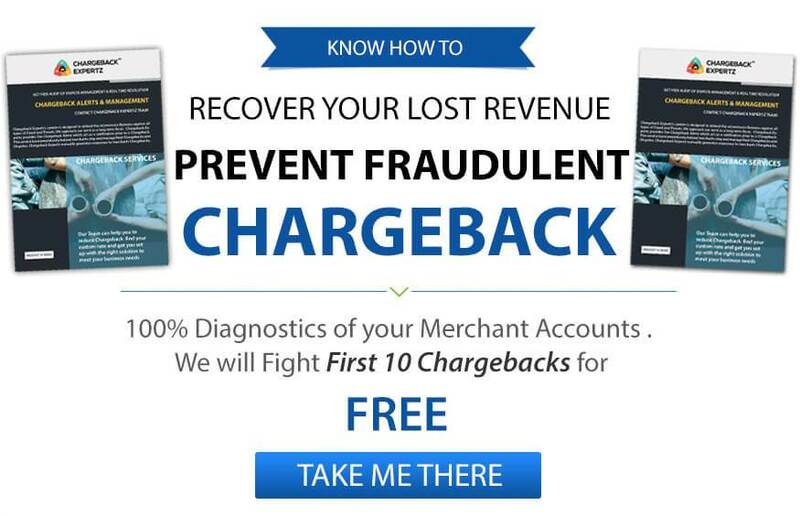 This will definitely help you as a merchant to reduce and manage Excessive Chargeback Levels. As complicated as it sounds, the chargebacks can be tricky to deal with not only for merchant but also for banks. Every year, many cases of chargeback frauds are reported. Furthermore, the banks and card networks are trying to establish the best method to avoid any frauds. To manage excessive chargeback levels, the card network has introduced some programs that are discussed below. Both the Visa and Mastercard have different chargeback limit. And the limit also depends on a number of factors like business type, previous chargeback records and so on. For instance, the chargeback rate should never exceed 1% otherwise the merchants should be prepared for some consequences. In order to manage excessive chargeback levels, there are two chargeback programs – Visa Chargeback Monitoring Program and Mastercard Excessive Chargeback Program. What is Visa Chargeback Monitoring Program? As the name of the program reflects, the chargeback monitoring program is a set of rules that helps the card network to keep the track of a merchants’ chargeback records. Also, these are the standards designed by the Visa to keep the chargeback under control. There is a further classification of the program depending on the merchant’s business. Global Merchant Chargeback Monitoring Program (GMCMP) – This program is applicable for the global merchants. The Chargeback threshold can depend on the acquirer location geographically. S. Merchant Chargeback Monitoring Program (MCMP) – All the US merchant are eligible to get under this program by the Visa. This generally involves 1% chargeback threshold for the merchant. High Brand Risk Chargeback Monitoring Program (HBRCMP) – This program is specially designed to help the high-risk merchants to keep their chargeback under the limit. If you want more information for all these programs or need help to manage excessive chargeback levels then contact Chargeback Expertz at the toll-free number +1 855-465-4723. The MasterCard’s method to Manage Excessive Chargeback Levels is slightly different. Here are some methods that they follow to manage merchant’s chargeback threshold. A merchant comes under the radar of the excessive chargeback program on exceeding the 1% rate for continuous six months. This phase is called tier 1. If the excessive chargeback practice is continued for 12 months then the merchant comes under tier 2. After the Merchant is put under the merchant fraud program, his business methods are evaluated. If you are looking for more details related to Managing Excessive Chargeback Levels for your business then contact Chargeback Expertz at the toll-free number +1 855-465-4723 or visit chargebackexpertz.com. What is Visa chargeback guide 2017? What are Visa chargeback rules for consumers? How to know the chargeback threshold? These are the some of the similar questions asked by our customer during the chat related to “Manage Excessive Chargeback Levels”. If you are a merchant and looking for methods to minimize chargebacks then feel free to contact Chargeback Expertz at the toll-free number +1 855-465-4723. We provide Chargeback Management and Representment solutions to the merchants fro various sectors. Call us or visit us at www.chargebackexpertz.com for further information.